These Pumpkin Snickerdoodle Cookies are soft and chewy have all the fall flavours – pumpkin, cinnamon, chocolate chips and peanut butter chips. Snickerdoodles are usually made with cream of tartar, but this recipe gives you an option to get the same taste but without it. 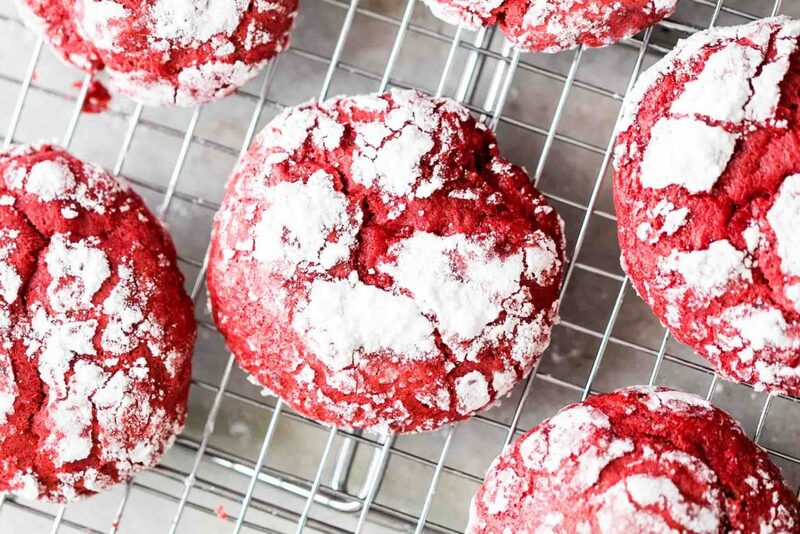 I clearly have only cookies on my mind because I just posted the recipe for these amazing red velvet crinkle cookies. But nobodys complaining because ’tis the season and my kitchen smells like winter and christmas. Snickerdoodles usually don’t show up in lists of favourite cookies during holiday because whats a cookie doing without any chocolate chips in it. Which is why its time to change the snickerdoodle game with these pumpkin snickerdoodle cookies which have chocolate chips AND peanut butter chips. So you’ve got the sweet and salty all in one place so that you don’t miss out on the best snickerdoodles ever! I’m not that much of a baker which is why when I went to the shelves to search for cream of tartar which is the key ingredient in a great snickerdoodle I realised that the pack was like 567 days old. Hello internet! I found a solution to make these soft and chewy pumpkin snickerdoodle cookies without cream of tartar but with the same amazing taste that we all know and love so much! Obviously that cookie batter started off as a full batch but since half went into my mouth I had to start all over again to make a big batch. Let’s not tell anybody else. Also there is no egg in these cookies because Sally from Sally’s Baking Addiction says so. I’m no expert in the cookie baking game so I just went with her and seriously – the best pumpkin snickerdoodle cookies ever!! I agree that these cookies are not much of a looker but trust me they will come to your rescue if you are cinnamon lover, want to use pumpkin in EVERYTHING, get a kick out of salty and sweet together and want soft and chewy cookies in the middle of the night. Off to make another batch because one can never have enough cookies! Wet Ingredients: In a bowl mix together melted butter, brown sugar, 1/2 cup granulated sugar, vanilla extract and pumpkin puree till there are no lumps. Dry Ingredients: In another bowl, mix together flour, salt, baking powder, baking soda, 1/2 teaspoon cinnamon powder, ground nutmeg, ground cloves and all spice. Cookie Dough: Add the wet ingredients to the dry ingredients and mix well till combined. Fold in the chocolate chips and peanut butter chips till they are evenly dispersed. Cover and chill the dough for 30 minutes. Pre-heat: Pre-heat the oven to 175C/350F and line your baking sheets with parchment paper or a silicon baking mat. I prefer silicon baking mats because it’s really easy to remove the cookies after baking. Remove the cookie dough from the refrigerator. Forming the cookies: In a small plate or wide mouthed bowl, mix together 1/2 cup sugar and 1 teaspoon cinnamon powder. To form the cookies, take about a tablespoon and a half of the cookie dough and form into a ball. Roll the dough in cinnamon sugar, flatten it slightly and place it on lined cookie sheets. Repeat till all the dough is used up. Bake: Bake the cookies for 10-11 minutes. Let them cool for at least 10-15 minutes before removing them to a wire rack to cool completely. These cookies are pretty soft so making sure they are completely cool is essential. The double dose of chips push these snickerdoodles over the top!! These look so soft and pillowy – can’t wait to sink my teeth into one!